the surrounding Black River & Okemo Valley area, and its visitors"
Checkout the Other Features of FOLA While You're Here . . .
FOLA, based on its by-laws, is managed by a Board of Directors that number from 7 to 12 members. The terms of all directors are three years; director elections take place at the annual meeting in January. Anyone interested in serving as a Director of FOLA is invited to contact FOLA at info@fola.us or call (802) 228-7239. Qualifications for Directors may be found in the FOLA "Articles of Incorporation" located in Documents. Pictured below are the founding members of FOLA in September, 2009. 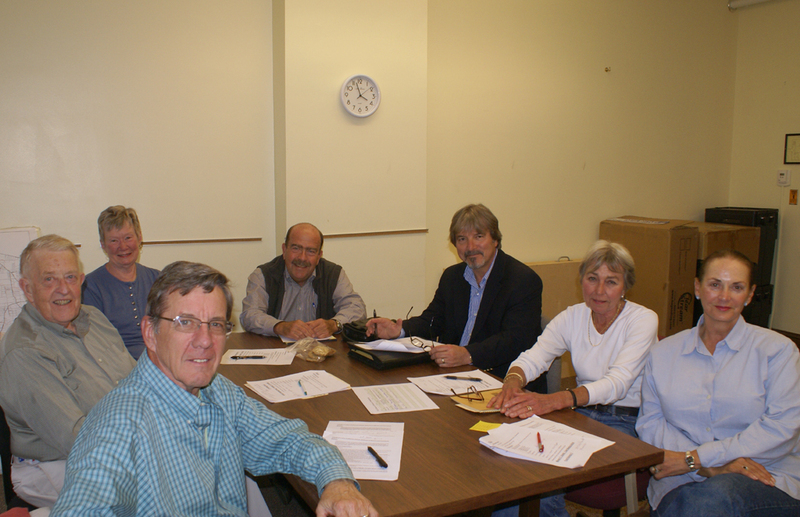 They include, from left to right, Ralph Pace, Janet Pace, David Almond, Frank Heald (Ludlow Town Manager invited to help kick-off FOLA), Bruce Farr, Anita Alic, and Christine Fuller; unavailable for the meeting was Jean Eggleston.